CHARLOTTE, N.C. (November 4, 2018) – The World of Outlaws Craftsman Sprint Car Series schedule is one that is long and grueling. When it finally comes to an end, there is no better way than going into the offseason with a win. That’s exactly what Donny Schatz and the Tony Stewart Racing team did Saturday during the World Finals at the Dirt Track at Charlotte. Schatz drove from the 10th starting position to claim his 22nd win of the season and 12th career win at the semi-banked four-tenths-mile oval. 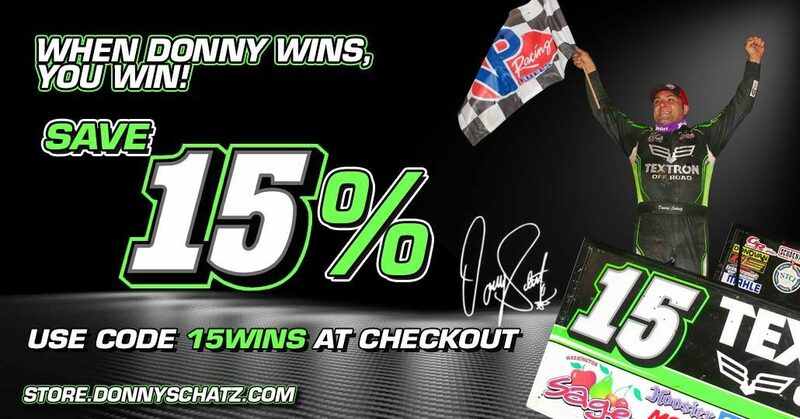 Schatz used the first half of the race to move towards the front, taking the second position from Logan Schuchart on lap 15 of the 30-lap main event. The now 10-time World of Outlaws champion then went to work on Carson Macedo for the lead. Macedo had a somewhat comfortable lead with eight laps to go when a right rear tire let go on the Kyle Larson Racing No. 22, forcing him into the outside wall and out of the race. Schatz inherited the lead for the ensuing restart with Schuchart in tow. Schatz jumped out to a five car length lead, but Schuchart came back to place a bid for the lead with two laps to go. Schuchart momentarily took the lead with a slide job in turns one and two, but Schatz reclaimed the point in turn four. 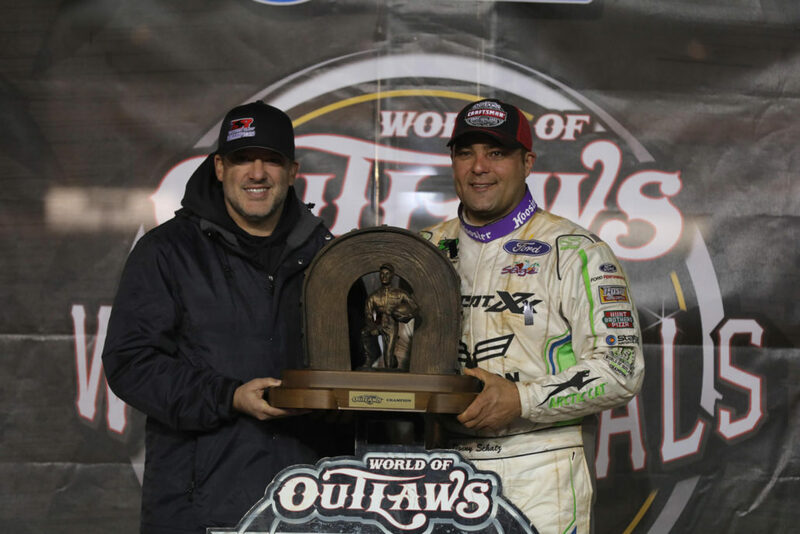 Schatz held off Schuchart on the final lap to secure his 283rd career World of Outlaws win. The final points show Schatz with a 286 point advantage over Brad Sweet for his fifth consecutive championship and sixth in the last seven years.